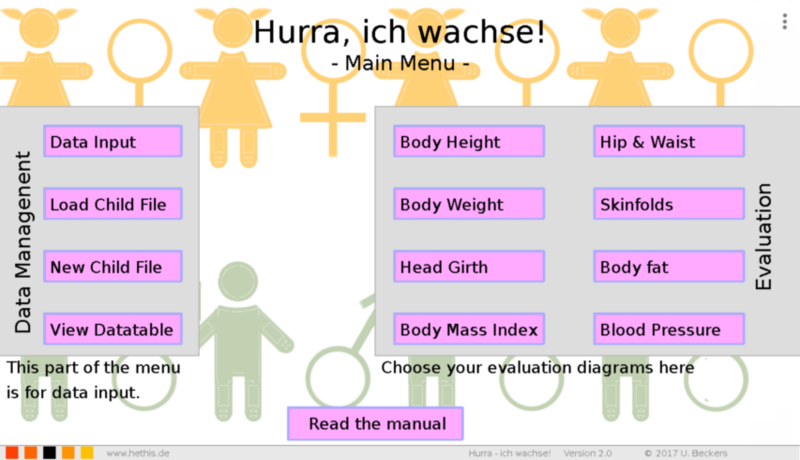 I just released V2.0 of "Hurra - ich wachse!" 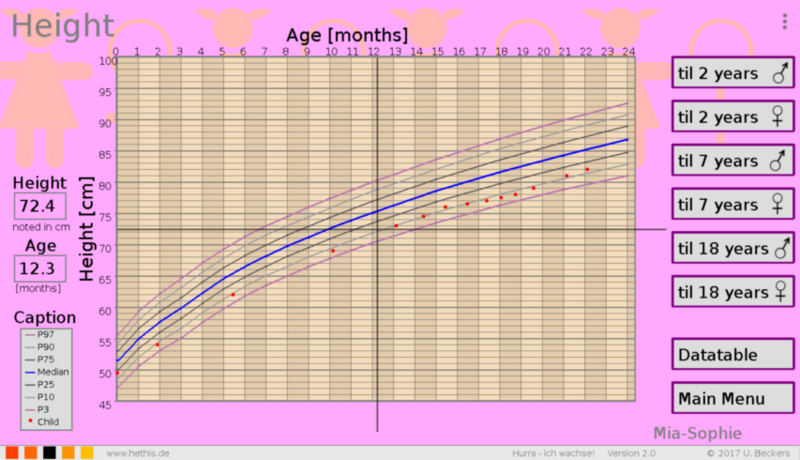 which is a managing app for body measures/seizes for children aged 0 - 18 years. You can record data for body height, weight, head girth, skinfolds, hip and waist as well as for blood pressure. Additionally the program calculates the body mass index (BMI) and body fat percentage. Data can be viewd graphically or by table and can get compared with a current set of reference data. It mainly targets on parents of central Europe since the reference data is based on materal acquired during a medical statistic study in Germany by the Robert Koch Institute. The data is probably pretty valid for the neighboring countries of Germany. Version 2.0 supports English and German language. There is a full version for Android (costs a tiny amount) and MorphOS (free of charge) and a free demo version for Android and Windows. Re: Hurra - ich wachse! This week there's a special discount on this software at the google play store. Just 0.59EUR. Grab it while the offer lasts. Demoversion with enabled but limited saving function now. Some other small changes. Fixed a stupid bug in saving routine introduced in V2.1 (silly me). Now a version for Amiga is also available (full version, free of charge). - fixed a very stupid bug in V2.3 which halted the program when a new dataset was created.